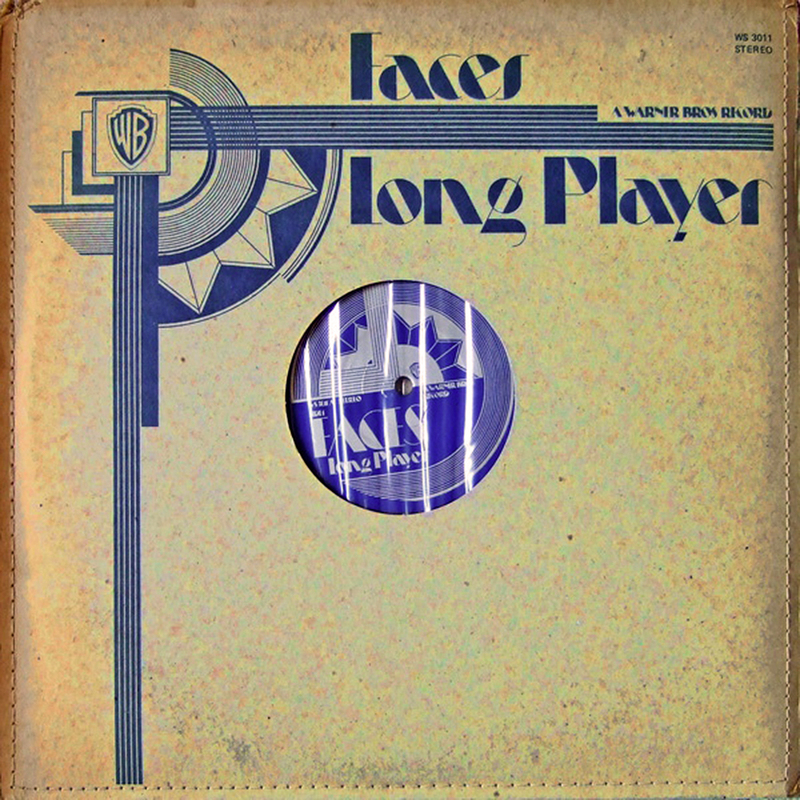 LONG PLAYER was the second album by the British rock group Faces with Rod Stewart, Ronnie Lane and Ronnie Wood amongst its members. On a good day, Faces could wrestle the title of greatest rock & roll band away from the Rolling Stones. LONG PLAYER was the second album by the British rock group Faces. Among the highlights are a live cover version of Paul McCartney's "Maybe I'm Amazed", the wistful "Richmond" and "Sweet Lady Mary", the rave-up "Had Me a Real Good Time" and the opening "Bad 'n' Ruin". "Maybe I'm Amazed" and "I Feel So Good" were recorded live at the Fillmore East, New York on October 11 1970. "On this second album the Faces truly gel -- which isn't quite the same thing as having the band straighten up and fly right because in many ways this is album is even more ragged than their debut, with tracks that sound like they were recorded through a shoebox thrown up against a couple of haphazardly placed live cuts. But if the album seems pieced together from a few different sources, the band itself all seems to be coming from the same place, turning into a ferocious rock & roll band who, on their best day, could wrestle the title of greatest rock & roll band away from the Stones. Certainly, the sheer force of the nine-minute jam on Big Bill Broonzy's "I Feel So Good" proves that, but what's more remarkable is how the band are dovetailing as songwriters, complementing and collaborating with very different styles, to the extent that it's hard to tell who wrote what; indeed, the ragged, heartbroken "Tell Everyone" sounds like a Stewart original, but it comes from the pen of Ronnie Lane. The key is that Stewart, Lane and Ron Wood (Ian McLagan only co-write "Bad 'N' Ruin") are all coming from the same place, all celebrating a rock & roll that's ordinary in subject but not in sound. On a good day, Faces could wrestle the title of greatest rock & roll band away from the Rolling Stones. They lacked however the Stones' longevity. In 1975 Ron Wood started to work with the Stones and the band announced they would split up in pursuit of individual careers. Both the Stones and Faces captured (some of) the spirit of traditional americana Blues, amplified it by the use of electric rock guitars and distortion and in doing so opened up the genre to the general Western audiences. Bobby Keys - tenor saxophone on "Had Me a Real Good Time"
Harry Beckett - trumpet on "Had Me a Real Good Time"
Tracks 1 and 2 recorded with the Rolling Stones Mobile Studio. Engineered by Martin Birch. Tracks 3, 4, 6 and 9 recorded at Morgan Sound Studios, London. Engineered by Mike Bobak. Tracks 5 and 8 recorded live at Bill Graham's Fillmore East, New York. Engineered by Dave Palmer. Track 7 recorded with Revox spare room unit. Engineer unknown.